Sit back and relax in comfort with the modernly styled Naomi Home Mateo Wood upholstered nursery glider with ottoman. 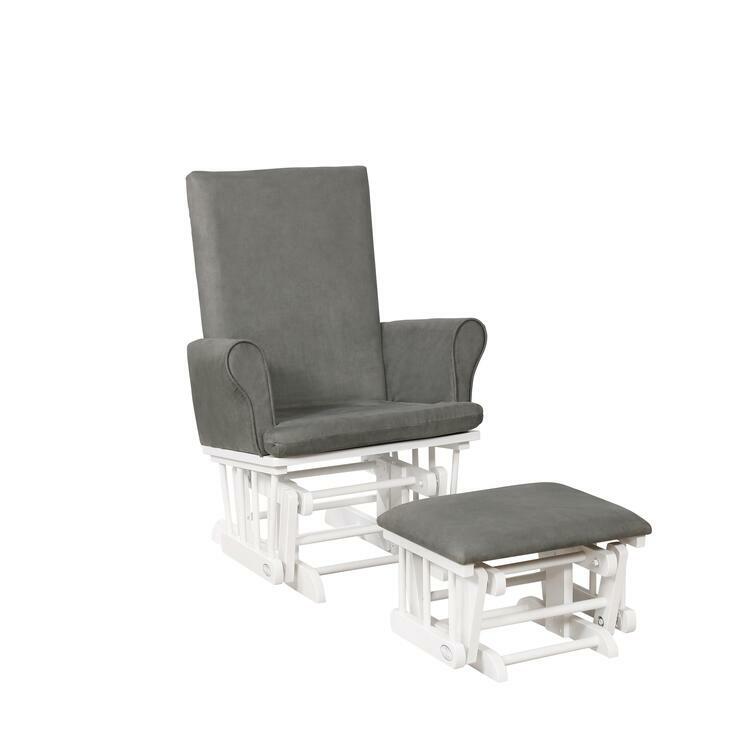 The gliding motion of this upholstered glider and ottoman set is very smooth and it helps sooth you and your baby after a feeding session late at night. This upholstered glider chair is provided with soft padded cushions along with the matching ottoman. This offers an unmatchable relaxing experience. The Naomi Home Mateo Wood upholstered glider chair with ottoman Set is a great addition to your nursery as you welcome a new member to your family! I love rocking my baby to sleep on this glider. It does its job well. Its comfortable to sit and glides smoothly. Its an awesome glider for the price. It is tiny bit smaller than we expected. But our room was small to begin with, so its just perfect for us. Great rocking chair. This chair is extremely comfortable, adequately sturdy, and the back of the chair is a good height. It does not take up too much space, and the rocking/gliding mechanism is great. Great rocking chair. It is very comfortable. Well worth what I paid for it. I am very satisfied with my purchase. I highly recommend this product.